Our cars departed for Arizona this morning by truck. We’ll be expanding our self-driving pilot there in the next few weeks, and we’re excited to have the support of Governor Ducey. In a oddly prophetic moment during his address in January, Ducey also said “I want startups in the Sharing Economy to know: California may not want you, but Arizona does.” He repeated the same words in today’s statement. You’ve come to the right place, Uber! The rub with California’s DMV began when Uber refused to apply for an autonomous driving permit for its pilot fleet because the company felt that its new line of cars didn’t fit the state’s official definition of a fully autonomous car. (All of Uber’s cars had humans present and ready to take over at all times.) The Verge implied the company’s resistance may have been because permit-holders must publicly disclose all traffic accidents, though Uber’s representatives have assured the press that this wasn’t the case. 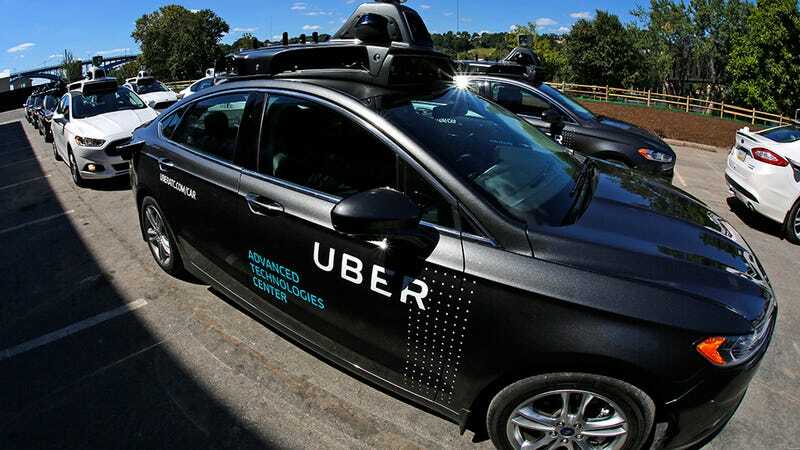 For now, it’s unclear if Arizona’s guidelines will push Uber to buy specific autonomous driving permits or if said permits will require public disclosure of traffic accidents. We reached out to Ducey’s office and will update when we hear back. The official guidelines for autonomous cars as issued by Governor Ducey’s Executive Order and the Self-Driving Oversight Committee in 2015 require that human operator be able to take control of all autonomous vehicles at any point, but interestingly do not require a person being physically present. A remote operator fulfills this requirement. The presence of a driver is exactly why Uber said they were exempt from California’s laws. With the enthusiastic support of its governor, Uber’s self-driving dreams may have found their perfect testing ground.